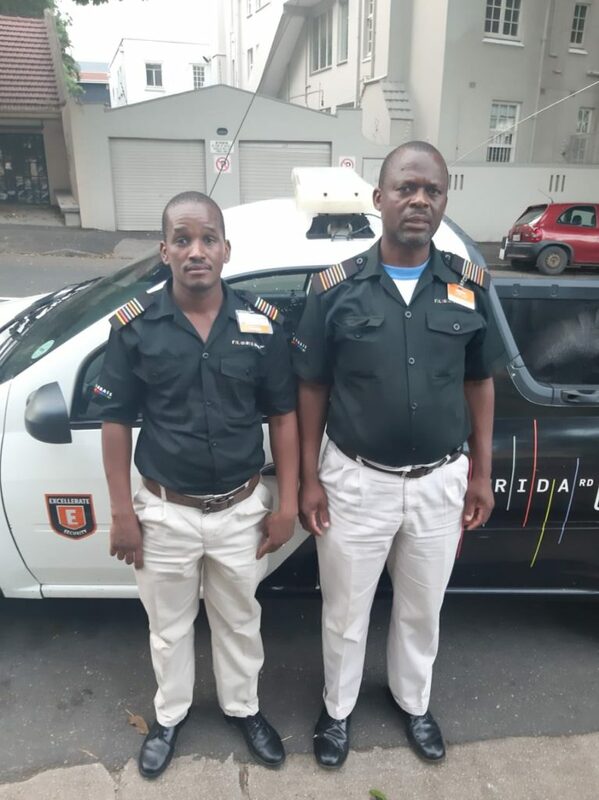 Senior Security Officers Mongezi Mbotshwa and Sibusiso Xulu having been rewarded for their actions which led to the arrest of a suspect linked to a break-in on Florida Road. Whilst conducting their shift handover on the 15th of March, both officers noticed an individual pushing a large airconditioning unit down Florida Rd. The officers approached the individual and upon further questioning determined that the unit was stolen. SAPS were contacted, who then uplifted the suspect. It was later established that the aircon unit was stolen from a property on Florida Road.